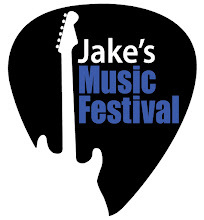 We have FIVE great bands lined up for this year's music festival. Once again the musical styles run the gamut. Our headliner this year is metal rock band FLEDfive. Returning for their third year at JMF is the Celtic band Craic Wisely. Also back are folk rockers Common Shiner and Zydeco band Creolization with David Molinari. and rounding out the bill is Los Cobras, purveyors of surf music. The show runs from 6:00 p.m. to midnight on SATURDAY, August 11 at the Wealthy Street Theatre. Tickets are only $10. That's only two bucks a band, plus all the money raised goes to support the Juvenile Diabetes Research Foundation. A great time at a great location for a great cause. See you there!